History never really leaves us – it stays with us in the form of monuments, each representing a part of a lost story. Maybe that’s the beauty of any historical place. It transports us to a time that we can only read and imagine through history books. But the problem with monuments are, they are cold and non-living. It would have been amazing if there was some visible piece of life that was infused with different stories to tell. Especially, if the plant had actually faced something drastic that has shaped the entirety of later human lives. The Yamaki Bonsai has proven to be just that – a living artifact of history. And it has quite a tale to tell. This bonsai is centuries old and had been planted by the Yamaki family back in 1625. It has seen the world change and become what it is right now. But out of all the changes that the world went through, we can say that it would probably remember the one catastrophic event that has changed how we perceive ourselves. The Yamaki family lived two miles away from that infamous spot where the American forces had dropped the atomic bomb in Hiroshima. More than a million people were killed back then, and only a few who had lived in the protection of their house survived, mostly unharmed. Thankfully, the Yamaki family was lucky enough to be part of the people who were living indoors at the time. And with them, the bonsai survived the explosion too. The horrific event changed the city completely, leaving behind ruins and death all around the place. In the year 1976, bonsai master Masaru Yamaki gifted this same bonsai to the United States. 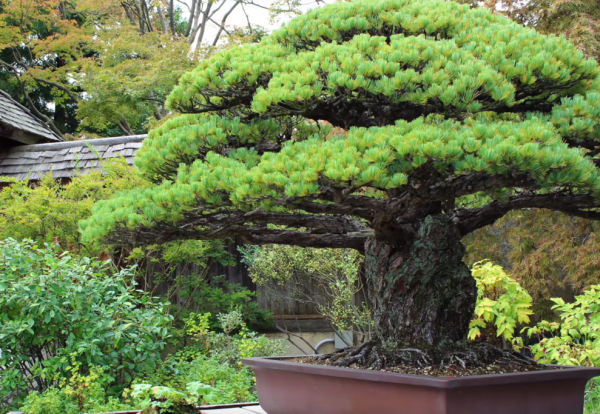 Now, it is housed in the U.S. National Arboretum in Washington D.C. Because it is a gift and a token of friendship that is present between the two counties, the museum did not add any information categorizing the bonsai as something special. Neither did they actually know the significant history behind it. It was only later in 2001, when the grandsons of Yamaki visited the museum that a whole new surprise was waiting to be heard. 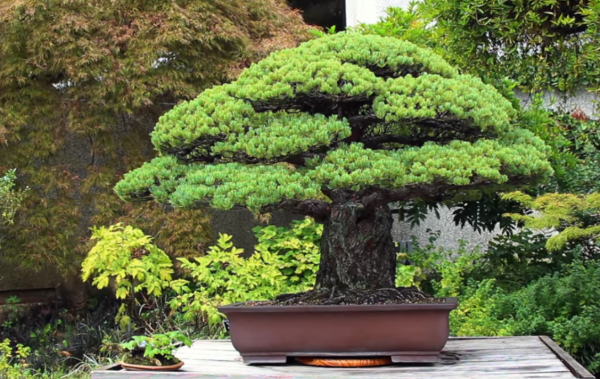 They presented the intricate story behind the bonsai and how it had survived one of the greatest mass destruction events that had occurred in our world. No wonder, this was a surprise for the museum authorities and it gave a whole new dimension to a previously ‘ancient’ bonsai. 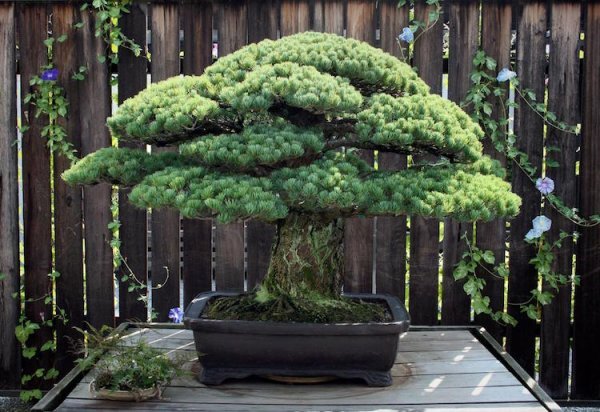 The museum authorities still treat the bonsai as a gift which it actually is, and restrain from providing labels or information in front of it, but it has updated this interesting piece of news on their website for people to read. According to the assistant curator at the museum, Kathleen Emerson-Dell, touching the bonsai feels like touching history. That’s what it actually feels like when you have a living thing that has survived long enough to be handed down to us, right now, into the present. Thousands of people in the past have come in contact with it; have talked about it, and around it. And now, when you come in contact with it, you can almost feel the connection with the past taking place. It’s how history and friendships slowly develop. And the best part, the white pine bonsai is still growing and is in perfect shape, a delight among bonsai lovers! A recently released video shows it all. 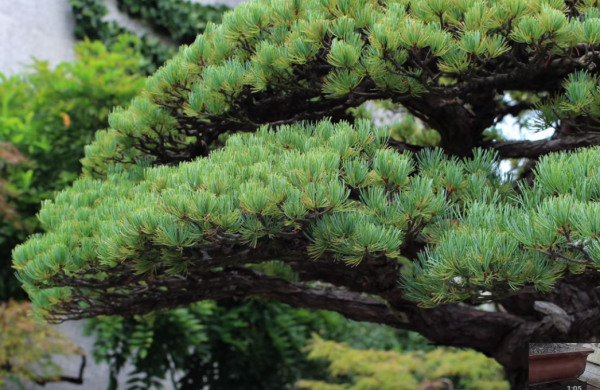 There’s no doubt that care and love have contributed to the growth of this bonsai plant and extended its life. It can apply to us too – we are history after all, so why not love and take care of each other so that we can last long enough to have a wonderful story to tell, just like the Yamaki bonsai. IMAGE CREDIT: Image via USDA-U.S. National Arboretum.
? Flowers Can Hear Buzzing Bees—And They Make Their Nectar Sweeter To Attract Them Nestle Is Ditching Plastic Water Bottles And Straws To Benefit The Environment ?